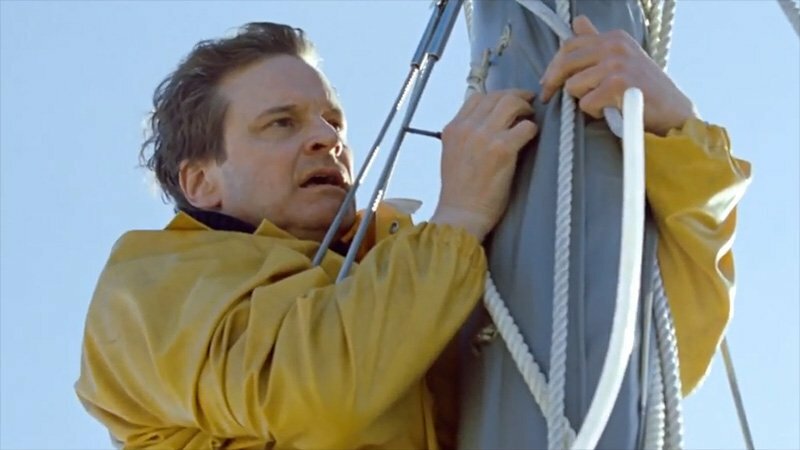 I'd read about amateur sailor Donald Crowhurst before ever hearing about The Mercy, the new film from The Theory of Everything director James Marsh. It was in a piece on infamous con-men, and Crowhurst, who faked his way through an around-the-globe sailing competition without ever leaving the Atlantic Ocean, certainly sounded like a prime example of a fraudster. 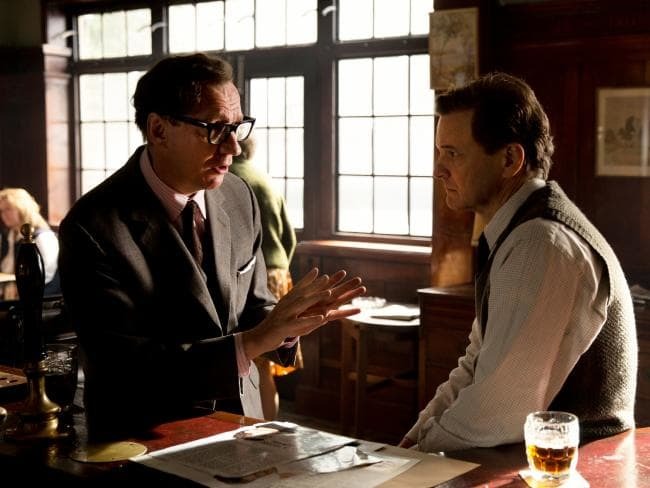 So I entered into The Mercy expecting to have my opinions confirmed, and yet left the film thinking that perhaps history has judged Crowhurst all wrong. Penned by frequent Steven Soderbergh collaborator Scott Z. Burns, The Mercy is a complex, harrowing look at a man desperate to make his mark in the world. As played by Colin Firth, no stranger to movies set on boats, Donald is an ambitious and devoted family man with a dream that got too big for him to control. 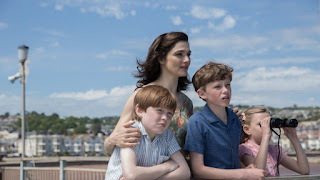 He was mainly an engineer and inventor of nautical instruments, but never made much money, at least according to his wife Clare (Rachel Weisz, in full support mode) who typically stayed at home to watch their three kids. While not a complete novice as a boatsman, Donald certainly shouldn't be captaining anybody's ship, and certainly not sailing around the world alone in one. Yet a combination of ego, ambition, and "the call of the sea" convinced him he could not only enter the 1968 British Sunday Times Golden Globe Race, but that he could do it in a ship of his own making. Of course he would use all of the fancy nautical instruments he'd been trying unsuccessfully to sell, as a means of improving their marketability. Great. A life-and-death journey and a marketing gimmick, all in one.. Brilliant. What could go wrong? Crowhurst shows some trepidation as the launch date draws near, but with a wealthy investor on the hook and publicist Rodney Hallworth (David Thewlis) turning the whole thing into a media circus, there wasn't much to do but go ahead with it. No, Donald pumps himself up by suggesting that the act of sailing is what will make him a sailor. He quickly learns that having some experience might've helped. His ship, which was questionable to begin with and compromised by construction issues, repeatedly fails him. The hull is weak, the engine fails, he's constantly bailing water, and that's just the start of it. But the radio works, and being able to keep in touch with the family is what helps to maintain his sanity. At least at first. Soon, that radio becomes a curse. If he sent accurate positioning updates everyone would know he was failing. Not just the press, but his family. Eventually he starts to consider cheating. Soon the radio must go, too. Deception is at the heart of The Mercy's story, not just by Donald but by those who sought to profit from the amateur's dangerous adventure. While there's no shortage of good ol' English backbone to what Donald was attempting, the feeling of doom is everywhere. And that ominous note is echoed in Donald's physical and emotional deterioration along the way. 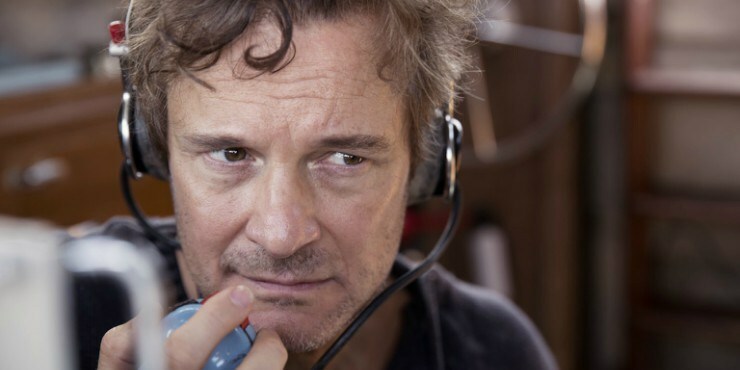 Firth captures Donald's spirit and nerve, which eventually gives way to humiliation and fear. As Donald's situation grows more dire, we see Clare's attempts to make the best of it, resting on faith in her resourceful husband to pull through. Meanwhile, Hallworth continues to deceptively spin Donald's progress in hopes of getting a mention in the newspaper. He proves a far more unlikeable figure that Donald, even roping Clare in to tell a feel-good story when in reality things had already turned grim. Hallworth becomes a de facto villain of this survival story, while we can't help but feel pangs of remorse for Donald. Sure, he could've called to shore and ended the race, but he would lose everything. His family would lose everything. If there's going to be risk, it will be his, not theirs. Marsh captures the majestic beauty of the sea, capturing that allure which has tempted millions of men to hear the call just as Donald did. The film jumps back and forth in time, from Donald's doomed present to earlier, much happier times. Or at least they should've been happier. For Donald, those times that he should've been enjoying a comfortable life with a wife and family who love him were spent wondering if the grass was greener on the other side. Or perhaps more appropriately, if the ocean was bluer on the other side. 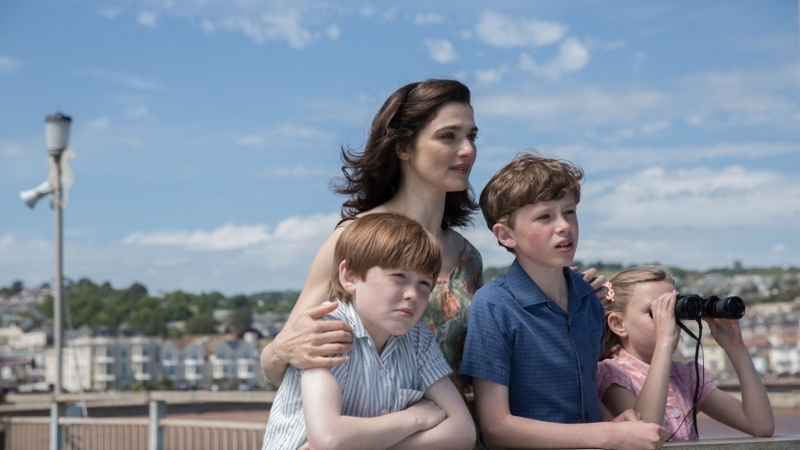 The Mercy is a handsomely-shot,well-told story of a man who realized too late that he already was a success, as a father and husband. It's a bit conventional by biopic standards, and Marsh refuses to get into the mystery surrounding Donald's fate, but Firth's nuanced portrayal is surprisingly powerful and may help change the way Crowhurst is perceived from now on.